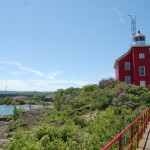 The Marquette Harbor Lighthouse stands on a rocky point near the lower harbor, and has become a community icon over the years. It is easily recognized from miles away due to its bright red color, and it is one of the most frequently photographed locations in town thanks to its picturesque location on the Lake Superior shoreline. 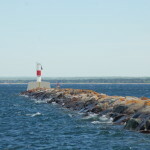 Great views of the lighthouse come from McCarty’s Cove beach or the breakwater near the Coast Guard station. For a truly immersive lighthouse experience, take a tour of this historic structure through the Marquette Maritime Museum (details below). 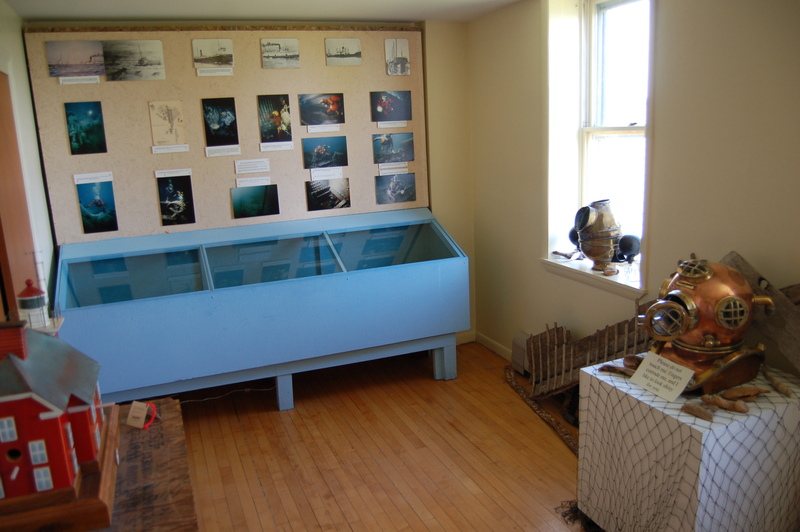 We profiled the museum and lighthouse tour in our Photo Gallery Friday: Marquette Maritime Museum post, and while touring the lighthouse grounds we learned quite a bit about the area’s maritime history. 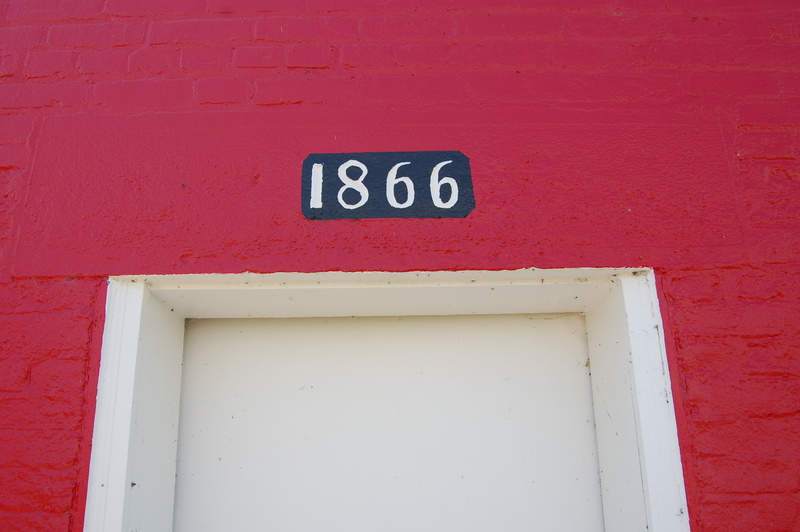 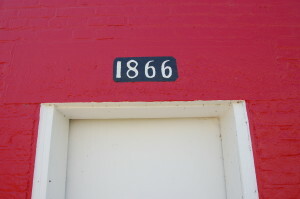 The lighthouse dates back to 1866, though an earlier lighthouse existed here for a brief time in the 1850s. 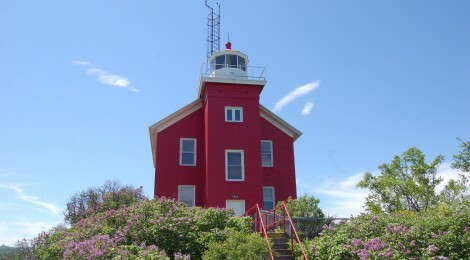 The Marquette Harbor Lighthouse’s lantern room housed a fourth order Fresnel lens with a 10 nautical mile visibility range (since replaced by a modern beacon). 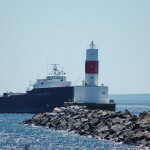 The tower here may only be 40 feet tall but its position on top of the rocky point gives it a 70 foot focal height. 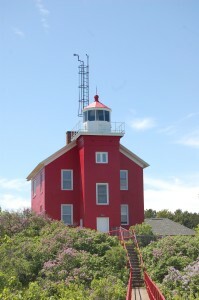 The lighthouses at Ontonagon, Granite Island, Huron Island and Gull Rock all feature a similar design. 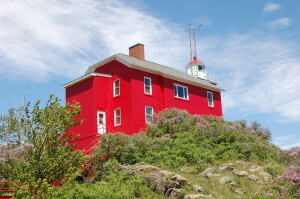 Marquette was a leader in the shipping of iron ore, which kept the harbor busy and made the lighthouse a vital addition to the area. 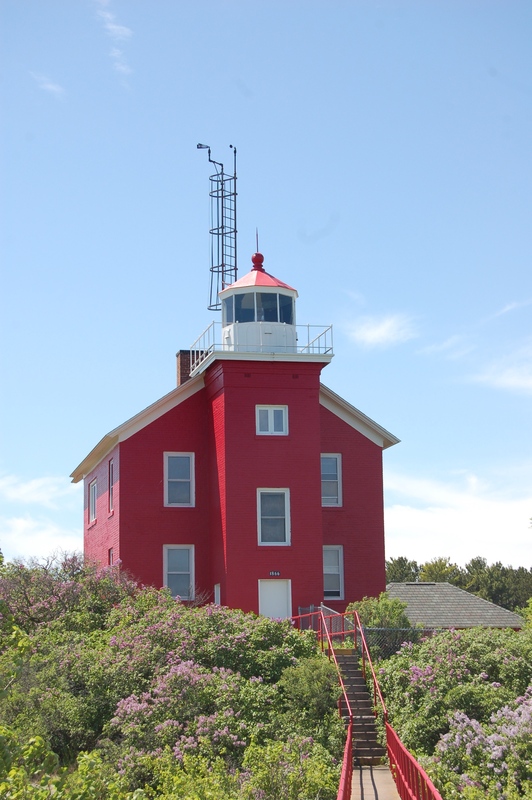 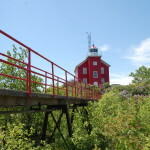 While we had visited and viewed this lighthouse many times over the years, the tour gave us a great chance to get views that we had not had before. 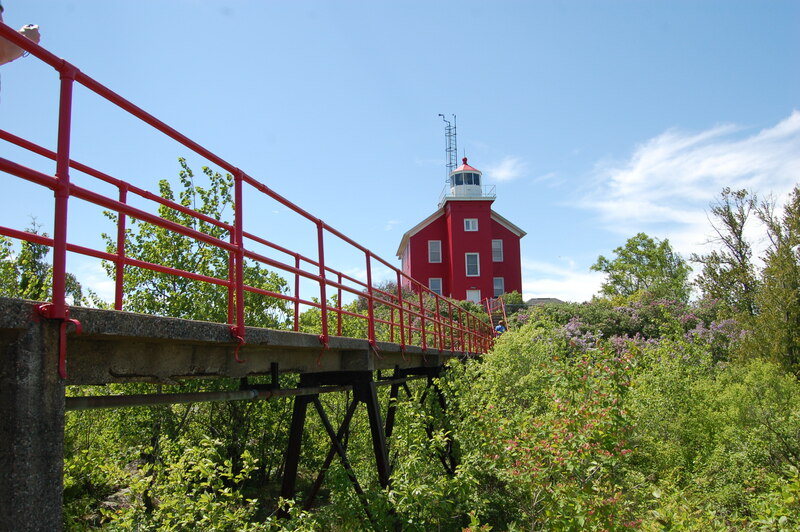 The front of the lighthouse faces Lake Superior, and during the tour you will be able to walk the red-railed walkway out and turn around for some amazing pictures of the Marquette Harbor Lighthouse. 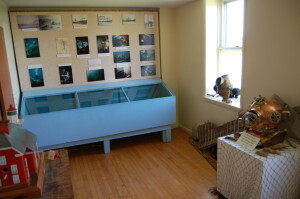 Inside the lighthouse the museum has done a great job of putting together historical photos and artifacts to create a few small exhibits. 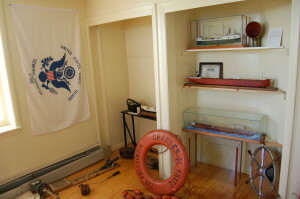 The Marquette Maritime Museum is located at 300 North Lakeshore Blvd. 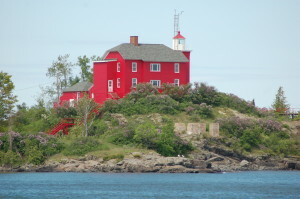 It typically opens in early June and runs through daytime hours Tuesday – Sunday. Two other lights in the Marquette area are also easy to visit: the Marquette Breakwater Light can be accessed from a foot path that starts at the museum parking lot and runs next to the Coast Guard station and the Presque Isle Breakwater Light can be found at Presque Isle Park near the upper harbor ore dock.